Harbour House Hotel enjoys the most prominent of positions in the heart of the Old Harbour area, flanked by the seaside and the bustling center of this holiday town.The magnificent Lookout Terrace invites guests to revel in the soothing surrounds of the ocean ahead and enjoy a lunch from the restaurant inspired by abundant local produce and fresh ingredients, alternatively savour a sundowner from the Wine Bar in the Pavilion. 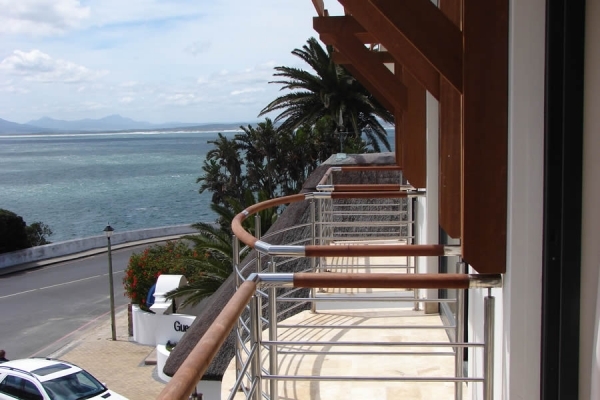 Guests are offered a choice of accommodation from the historical architecture of the thatched roof seaside Manor House built in 1920, to the contemporary New Wing and Harbour Square. Rooms are luxuriously appointed with sophisticated modern decor, all within easy walking distance of the town's top attractions, whale watching sites, markets, restaurants, street cafes and an abundance of reserved natural splendour. The Harbour House Hotel's crowning glory, and arguably the most enjoyable whale watching site, is the magnificent 18 x 4 metre infinity pool. Just a stone's throw away from the sea, the pool enjoys prime position at the front of the hotel in the Manor House Wing, offering uninterrupted views of the sea through glass wall surrounds and modern, sophisticated finishes. Guests staying in Harbour Square wing have access to the infinity pool, as well as the roof deck pool at Harbour Square.